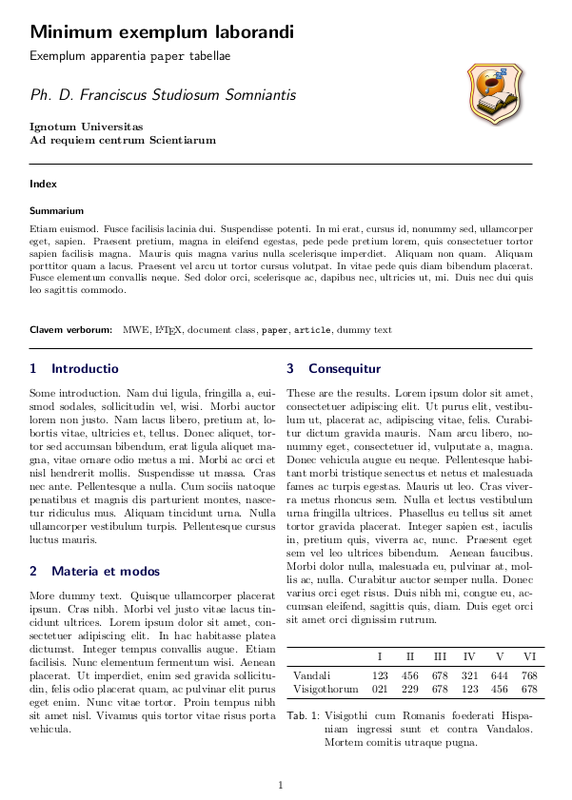 Some of the available classes of documents in LaTeX are well known and widely used, such as the article and beamer classes, while others are not so well known, such as the standalone class. proc a class for proceedings based on the article class. minimal is as small as it can get. It only sets a page size and a base font. It is mainly used for debugging purposes. slides for slides. The class uses big sans serif letters. beamer For writing presentations (see LaTeX/Presentations). which lists the main classes and is a good starting point, but the description is too short and still leaves one wondering when it would be more suitable to choose one class over the other and what the characteristics of each class is. Furthermore, the list is not exhaustive I think, given that I know at least one more document class that is not there (the standalone class, as I mentioned). So my question is: what are the available classes of documents in LaTeX, and could you provide a brief description of the class and the situations where it would be recommended? Please give only one class per answer. There's a category in the TeX Catalogue: Alternative Document Classes (web archive link). The classes in the KOMA-Script bundle* (scrbook, scrreprt, scrartcl, scrlttr2) provide replacements of standard classes (book, report, article and letter respectively). They offer lots of configuration options to accommodate different layouts without using ugly hacks. Generally I think they are nearer to European (and in particular German) typography conventions than the standard classes are. * see also the german homepage of KOMA-Script. The memoir class is based on the book class. It implements a lot of design facilities that with other classes usually need loading additional packages. 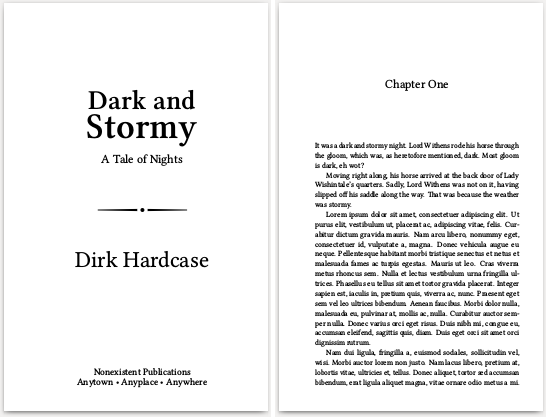 The result is a feature-rich, customizable and powerful class, especially useful for designing books. 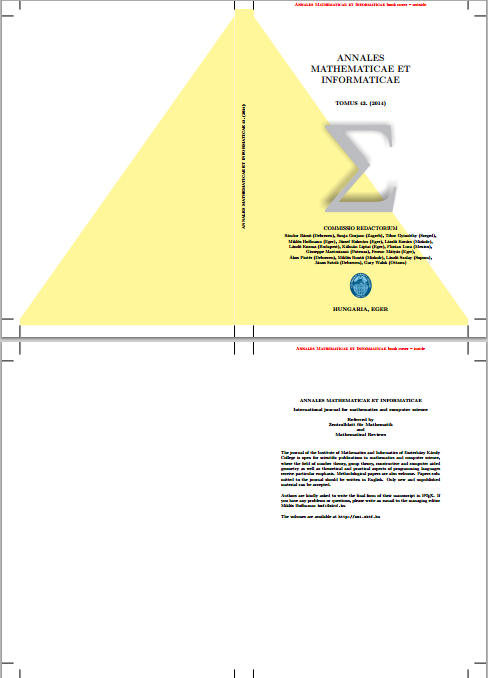 memoir offers an extensive manual with more than 500 pages (here) containing also examples for the design of a book and of a thesis. I've grown to love standalone recently, particularly for tikz-graphics. Never again I will have to run pdfcrop on the output from my pdflatex run, because that is what the standalone class does. The article class is, as the name suggests, intended for writing articles. This means relatively short documents which do not contain chapters or parts, only sections, subsections, etc. As one of the base classes, the formatting is pretty basic. However, as the article class does provide the basic function most people expect from LaTeX it is often used with modifications for longer documents. The report class is intended for longer documents which will have chapters, while book is intended for very large documents. The standard settings for report and book are slightly different from article. For example, the default for article is to put the \maketitle information at the top of the first page, whereas report and book use separate title pages. book includes pre-defined shortcuts for the \frontmatter (unnumbered chapters with roman page numbers), \mainmatter (numbered chapters and arabic page numbers) and \backmatter. All of the base classes have very basic formatting. Some of this can be questioned, but the LaTeX Project have made it clear that with so much use of these classes, the decisions are 'fixed'. As a result, modifying the base classes is an approach many people use for their own documents. Headers and/or footers can be different on the first page of the exam, can be different on the last page of the exam, and can vary depending on whether the page number is odd or even, or on whether the current page continues a question from a previous page, or on whether the last question on the current page continues onto the following page. Multiple line headers and/or footers are allowed, and it's easy to increase the part of the page devoted to headers and/or footers to allow for this. What if there were no air? Describe the effect on the balloon industry. Describe the effect on the aircraft industry. If the universe were to end, how would you know? 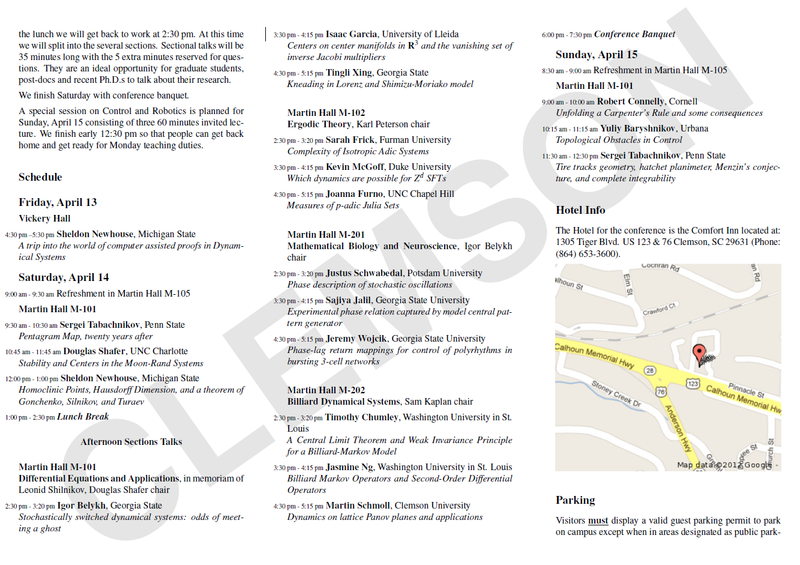 A document class to create small hand-outs (flyers) that fit on a single sheet of paper which is then folded twice. 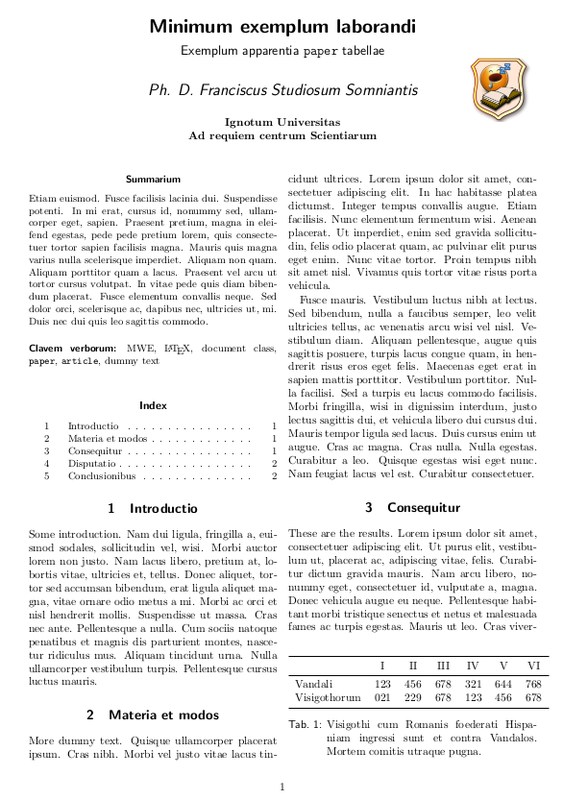 Pages are rearranged by LaTeX so that they print correctly on a single sheet — no external script is necessary. The beamer class is designed for creating presentations (although it can be used for academic posters in conjunction with the beamerposter package). It provides a wide range of graphical functions for making 'good looking' presentations. The specialist functions in beamer include modifications to standard macros (such as the lists itemize and enumerate) so that they can be revealed partwise. The class is designed to be able to also produce article-style material by including the appropriate. The documentation also provides advice on what makes a good presentation. Sorry about violating your "one class per answer" request, but I feel that these three should be included in the same post: amsart, amsbook, and amsproc. They come from the ams-LaTeX collection prepared by the American Mathematical Society and are the standard document classes to use for preparing documents for publication by the AMS. As their names suggest, they are modified versions of the article, book, and proc classes to adhere to the AMS's house style, and also incorporate the features of the package amsthm and load supplementary mathematics packages amsmath and amsfonts. For more detail one should refer to the website for the collection. The tufte-la­tex package pro­vide two classes: tufte-handout and tufte-book in­spired, re­spec­tively, by hand­outs and books cre­ated by the work of Ed­ward Tufte. 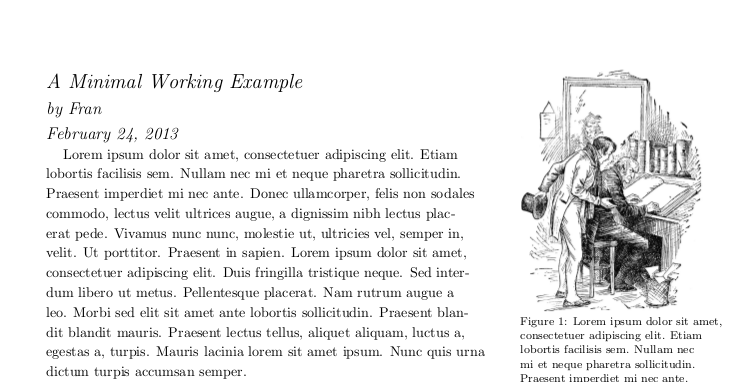 Tufte’s style is known for its extensive use of sidenotes, tight integration of graphics with text, and well-set typography. The hitec document class de­signed for use for doc­u­men­ta­tion of high-tech­nol­ogy com­pa­nies. It is a hack on the standard article class, but it looks very different. In fact, one of the design aims was to escape the academic look of the well-known LaTeX document classes. The paper document class is similar to ar­ti­cle but with a default look more European in my opinion, but this class have some new lay­out op­tions and font com­mands for sec­tions. Define also a key­words en­vi­ron­ment and com­mands as sub­ti­tle, in­sti­tu­tion, \smalltableofcontents, etc. Unfortunately texdoc paper give only a brief English abstract but is not too hard discover the options and useful commands in the code between the German text. moderncv is a class for typesetting modern curriculums vitae. If offers both a classic and a casual style. It is fairly customizable allowing the definition of your own style regarding colors and fonts. More classes useful for writing a CV can be found in the CV category of the TeX Catalogue. Okay, one class per answer, so I'll make a start with something basic. 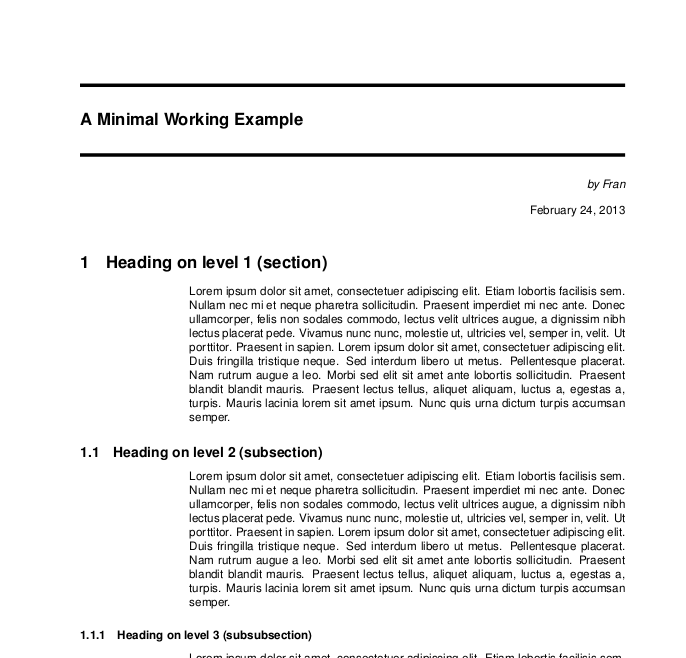 The minimal class is the absolute minimum you load and actually have LaTeX work. It's only intended for testing purposes, as it doesn't define many things you almost always expect (things like titling and sectioning commands). You would not usually use the minimal class yourself as it is so basic that there will not really be suitable for real work. REVTeX is a class designed for the American Physical Society (APS). It can produce output which is ready for production printing for a range of APS journals, depending on class options. The class provides a wide range of specialist functions needed by the journals, for example modifying how the \author macro works to improve the meta-data control. The REVTeX documentation includes a wide range of advice not only on the class itself but also on wider LaTeX use. The extsizes package provides the classes extarticle, extreport, extbook, extletter and extproc. They can be used instead of a corresponding base class and allow choosing a base font of a size between 8pt and 20pt. When you're in need of a base font size that standard classes don't provide, these classes adjust commands like \tiny, \Huge etc. fitting to your desired base font size, further they adjust page dimensions, list and float dimensions accordingly. Note that the KOMA-Script classes allow any font size specified in any TeX measurement unit so they might be considered as well when specific font sizes are needed. 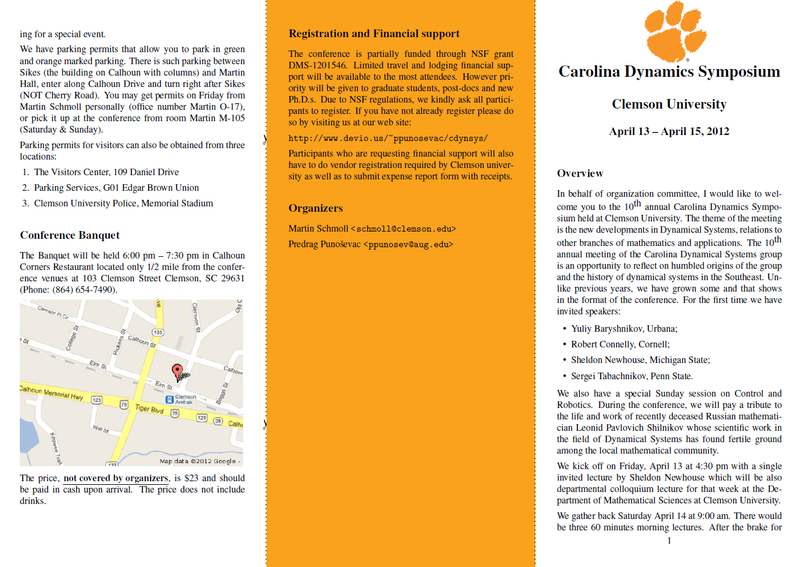 There are also many classes made specifically for formatting Masters and PhD theses. This is especially true in the U.S., where formatting requirements are often highly specified by particular universities and usually by people who have absolutely no sense about nice looking formatting. Some of these classes are available on CTAN (search for your university or just 'thesis') but many are unfortunately only circulated locally within a university. Classes that are available on CTAN and actively maintained are likley to be your best choice, if they are available. If your university does not have a class available, and you are thinking of creating one, I would recommend basing it on one of the 'augmented' classes such as memoir or scrbook rather than one of the basic classes since, as other answers note, both of these classes provide non-hacky ways of implementing all sorts of formatting requirements, and both are extensively documented. 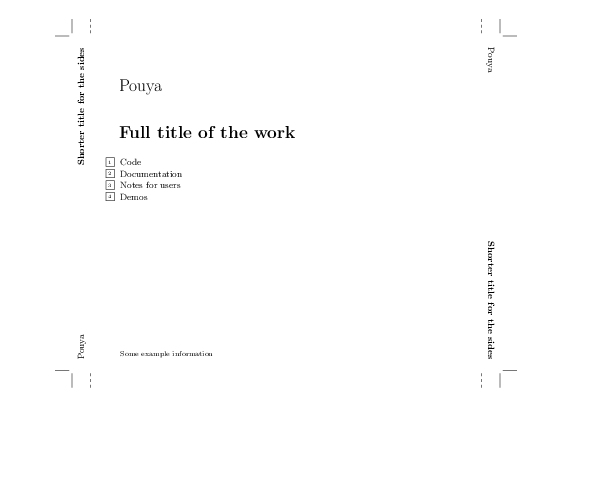 It provides a full set of facilities in three different output modes (journal-like appearance, double-spaced manuscript, LaTeX-like document), in contrast to the earlier apa6e, which only formats double-spaced manuscripts in APA style. The class can mask author identity for copies for use in masked peer review. Citations are provided using the apacite bundle; the class requires that package if citations are to be typeset. powerdot is a good alternative to the beamer class. Presentations can be developed easily. It provides many styles and allows creating your own style. powerdot offers automatic overlays, notes and a handout mode, further it supports LyX. It's intended to replace the older classes prosper and HA-prosper. powerdot requires PSTricks. So, it may be a good choice when you're using PSTricks in a presentation, but it cannot benefit from pdfTeX features. Easy batch printing with crop marks, full typographical control, extended foreign language support, fully open text-based format for easy copy-and-modify operations, and so on. Although the examples in the documentation [ 2 ] are all about music disks, I personally use it when I have to distribute code. slides is the basic class for presentations. It predated presenting using projectors, and shares with the other base classes the somewhat questionable layout choices. Other options such as powerdot or beamer are very much better choices than slides. 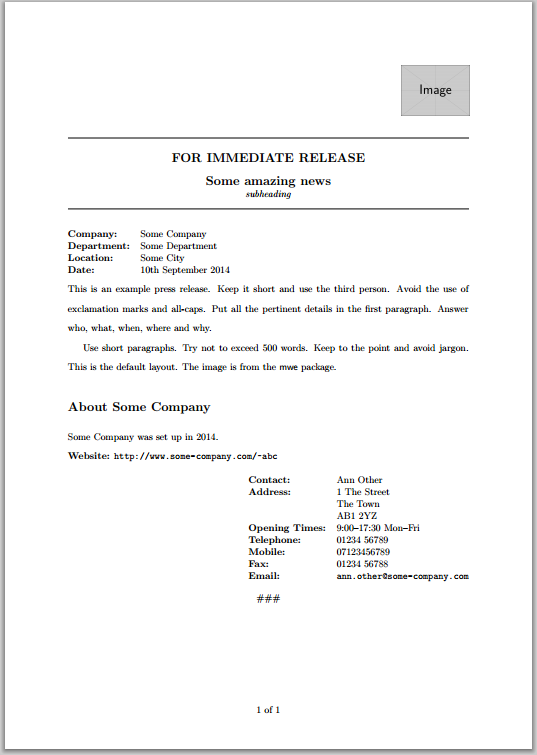 The pressrelease class is provided for typesetting press releases. A press release is a written statement to inform the media of forthcoming events, new products, awards or any other type of news item. A press release should be a compact document that briefly outlines the main details of the news item. Therefore press releases are usually no longer than a single page. Hard copies are typically double-spaced to allow the journalist room to scribble notes. The end of the press release is signalled by three hash (#) signs (end of release marker). Some Company was set up in 2014.
bookcover is a class specifically designed to create book cover and dust jacket layouts. 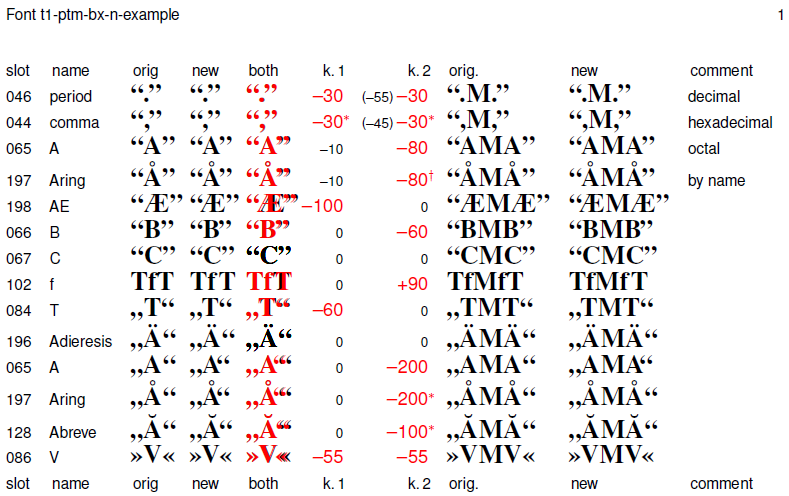 This class makes it easy to generate tables that show many diﬀerent kerning pairs of an arbitrary font, usable by LaTeX. It shows the kerning values that are used by the the font by default. In addition, this class enables the user to alternate the kernings and to observe the results. Kerning pairs can be deﬁned for groups of similar glyphs at once. Automatically, an mtx ﬁle is generated that can be loaded by fontinst to introduce the user-made kernings into the virtual font for LaTeX. Consider the ltxdoc class. It's small, fast, and frills free. Although it was designed for documenting LaTeX source files, it's very useful for producing your own documentation and notes, even if you are not interested in the 'doc' format or developing your own .dtx, .cls, or .sty files. Since ltxdoc loads the article class, you can easily customize it by passing options to the article class or loading other packages. novel is new in 2017. It is specifically intended for printed novels and short story collections, not for math or theses. It offers built-in formats for the most common print-on-demand book sizes, as well as allowing any size. It also has built-in PDF/X capability that does not rely on other methods. It also provides support for converting cover artwork to PDF/X. The documentation is elaborate, and is addressed to writers rather than programmers. Note that this document class is not for e-books, it is only for printed books. It uses LuaLaTeX, Open Type fonts, and utf-8 exclusively. Needs TeXLive 2016 or later, or current MiKTeX. ...in­te­grates the let­ter class with fan­cy­hdr and ge­om­e­try to au­to­mat­i­cally make let­ter­head sta­tionery. Use­ful for writ­ing let­ters, fax, and memos. You can set up an ad­dress book us­ing ‘wrap­per’ macros. You put all the in­for­ma­tion for a per­son into a wrap­per and then put the wrap­per in a doc­u­ment. The class han­dles let­ter­heads au­to­mat­i­cally. You place the ob­ject for the let­ter­head (pic­ture, in­for­ma­tion, etc.) in a box and all siz­ing is set au­to­mat­i­cally. I hope someone finds it useful or is inspired to make something better. I'm a bit surprised there isn't a well-known visual reference of this sort. ctex contains a set of LaTeX classes and packages for Chinese typesetting. Specifically it provides the "default" classes ctexart, ctexbook and ctexrep. refman provides document classes (report- and article-style) for writing technical reference manuals. 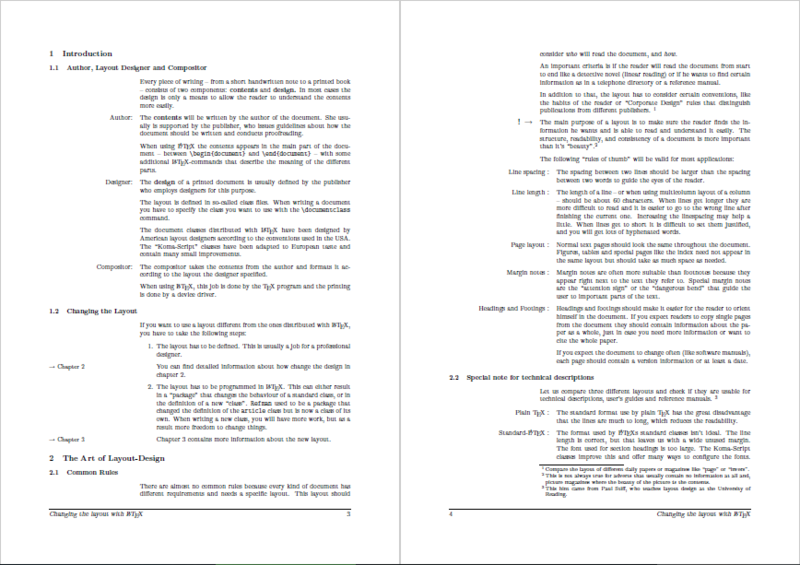 It offers a wide left margin for notes to the reader, like some of the manuals distributed by Adobe. Not the answer you're looking for? Browse other questions tagged document-classes big-list or ask your own question. Comprehensive overview of the existing latex classes. Or how to choose the right class? How can I design a book cover? How can I create a pdf document exactly as big as my tikz picture? 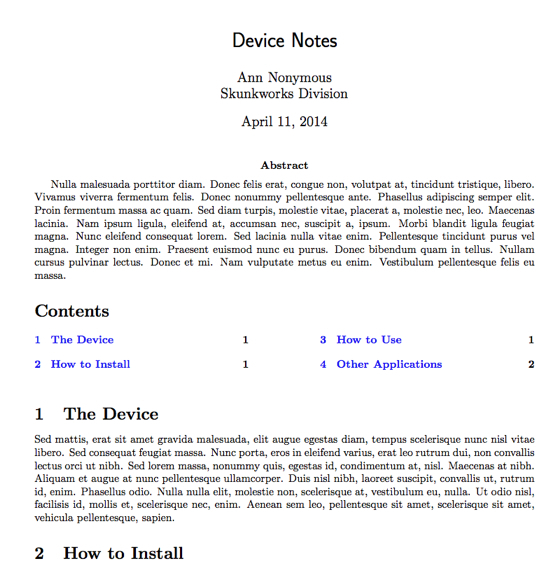 What is the default font size of a LaTeX document? What are your favorite document classes and what do you use them for? What LaTeX packages are available for ISO quality system documentation?